Fire up the grill! 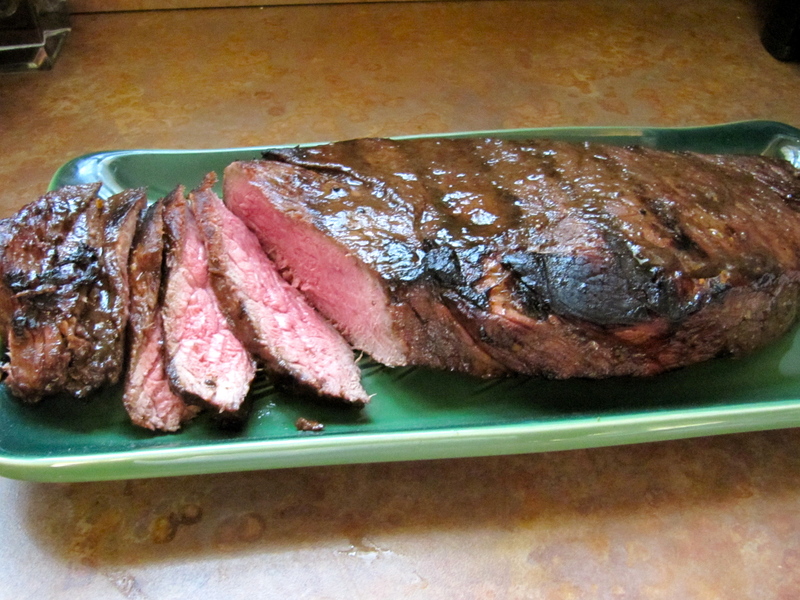 London Broil is best on the charcoal grill. So tasty! This marinade is one of my favorites, and doubles as a salad dressing for a side salad with the meal. 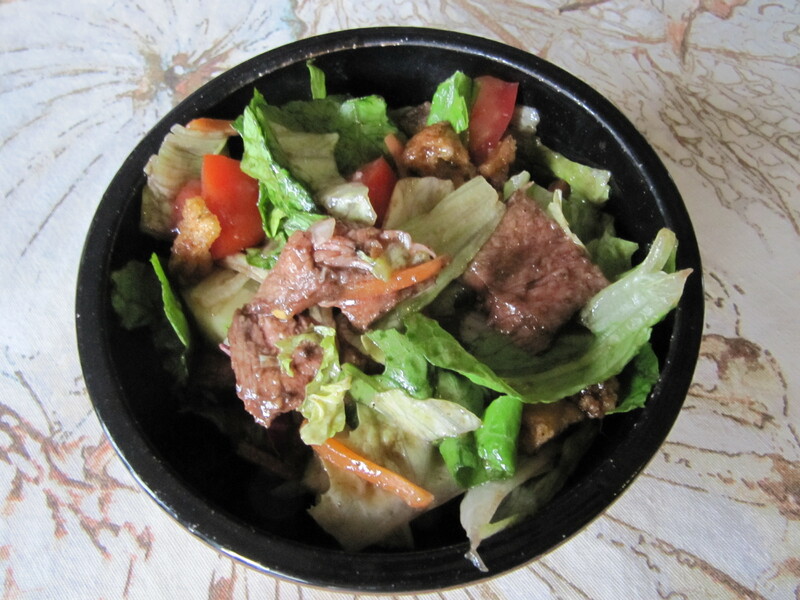 Often I put the steak in the salad and it makes for a lighter summer meal. This is a great dish to prepare for guests- it is easy and quick to prepare and always a hit for those red meat eaters. We use our grill year round and enjoy this dish all winter. 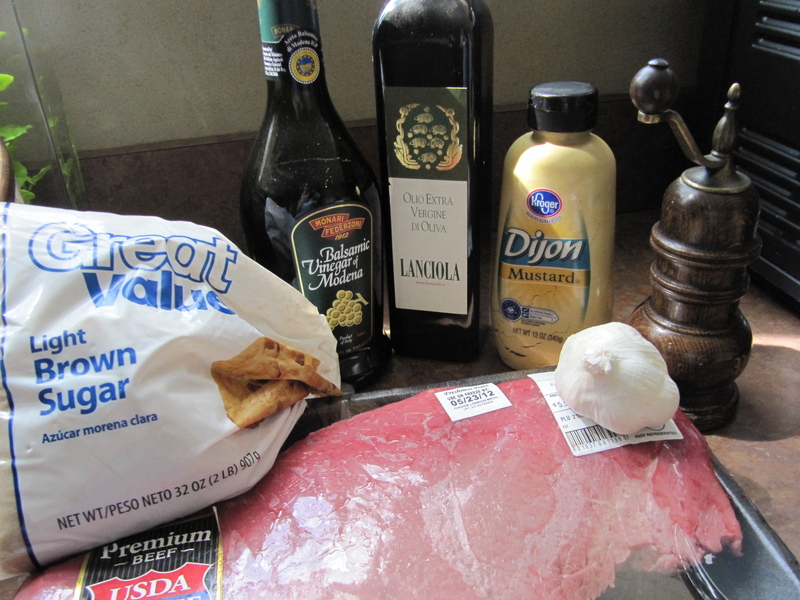 While I typically grill a London Broil with this, the marinade is great on any cut. I have used flank steak, sirloin strips, and ribeyes. All equally yummy. Hit the farmers market for all the salad fixin’s then get busy with the BBQ grill. Perfect summer meal. In a bowl whisk together the first six ingredients. Pour 1/3 cup of the mixture into a reseal-able plastic bag. Add the steak, seal the bag, and turn to coat. Refrigerate for at least 3 hours. Reserve the remaining marinade for salad dressing (sometimes I mix in about ¼ cup of Italian salad dressing just for kicks). Remove steak from the bag, grill over medium coals for 11-12 minutes on each side, or until it reaches your preferred level of doneness. Slice the steak against the grain and enjoy as your entrée, or cut it into bite size pieces and add to a large tossed salad. It looks so good… I’m going to have to try it. 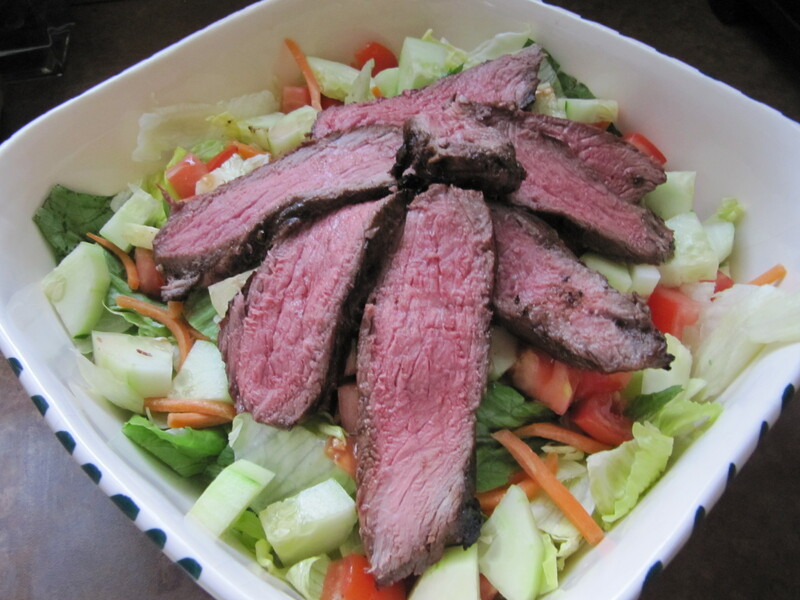 I love a good steak salad! Some local chain appropriately name my fave “black and blue” love it with blue cheese dressing.